Taylor MT, et al. Open Forum Infect Dis. 2018;doi:10.1093/ofid/ofy179. Dogs trained to sniff out Clostridium difficile in human stool samples were able to identify cases with up to 92.6 sensitivity and 85.1 specificity, according to recent study findings. However, Maureen T. Taylor, physician assistant in infectious diseases at Michael Garron Hospital in Toronto, and colleagues said wide variability in the dogs’ performance restricts their use in point-of-care testing. “The inconsistency in each dog’s ability to correctly allocate specimens is a major limitation to the widespread use of dogs to detect toxigenic C. difficile in clinical settings,” they wrote in Open Forum Infectious Diseases. Diagnostic testing for C. difficile infection (CDI) is often delayed because of difficulties in stool collection and laboratory processing, according to the researchers. Currently, the average time between symptom onset and treatment is approximately 2 days. Dogs are increasingly being assessed as diagnostic tools in medicine, according to Taylor and colleagues. They noted two studies previously conducted in separate countries that found that trained dogs can accurately detect C. difficile in human stool samples. Neither study, however, investigated the inter-rater reliability of canine C. difficile detection because only one dog was included in each trial. 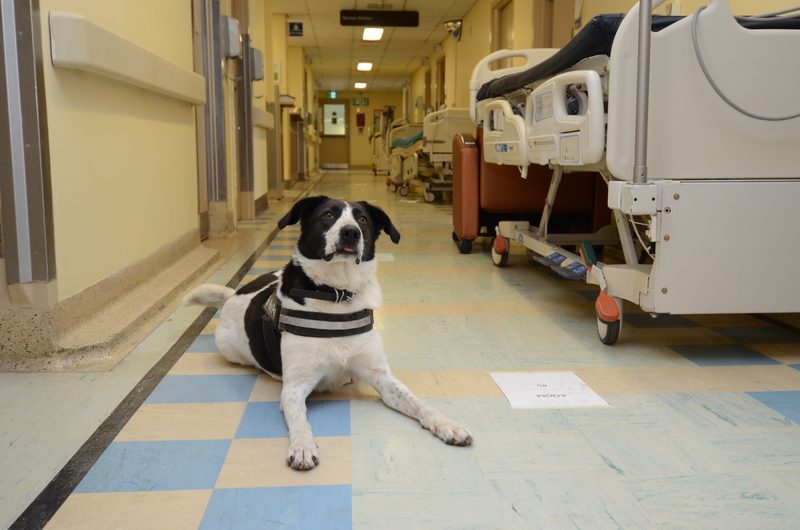 For their study, Taylor and colleagues examined the diagnostic accuracy and inter-rater reliability of two rescue dogs — a German shepherd and border collie pointer mix, both aged 3 years — that underwent training for C. difficile detection. Both dogs were trained by three professional instructors, including the owner. The instructors used a reward-based approach to train the dogs to differentiate odors of stool samples with toxin gene-positive C. difficile strains and negative stool samples. A final training phase was conducted in a decommissioned hospital ward with beds and equipment but no staff or patients. 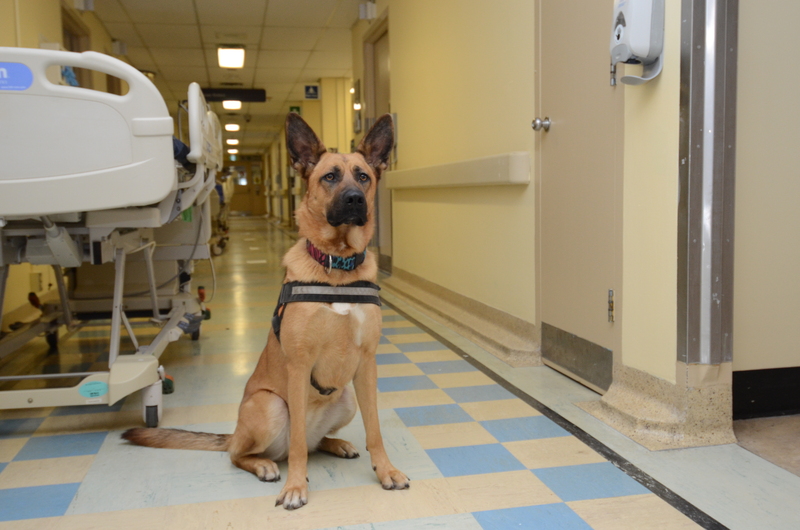 Piper, a 3-year-old German Shepherd, is one of two dogs trained to detect C. difficile in human stool samples. Chase, a 3-year-old Border Collie Pointer, is the other dog trained for CDI detection. The diagnostic accuracy of the dogs was formally tested with 300 samples, 30% of which were positive for C. difficile. The dogs identified positive samples with sensitives of 77.6 and 92.6 and specificities of 85.1 and 84.5. The positive predictive value of each dog was 45.2% and 49.6%, whereas the negative predictive value was 96.1% and 98.7%. The researchers reported that inter-rater reliability was moderate. The reason for this remains unknown, they said, but could be related to the individual dog’s breed, ability to learn and attention span. Instead, future research should investigate other strategies to improve CDI testing, particularly in resource-limited settings.